"Broken Crown Halo", the new studio album from Italian heavy rockers LACUNA COIL, is likely to sell between 9,000 and 11,000 copies in the United States in its first week of release, according to industry web site Hits Daily Double. The estimate was based on one-day sales reports compiled after the record arrived in stores on April 1 via Century Media. The chart will be unveiled on Wednesday, April 9. LACUNA COIL's last CD, "Dark Adrenaline", opened with around 20,000 units in 2012 to debut at position No. 15 on The Billboard 200 chart. The band's 2009 album, "Shallow Life", premiered with 21,000 copies to land at No. 16. LACUNA COIL's "Karmacode" album registered a first-week tally of 34,000 copies back in April 2006 to enter the chart at No. 28. 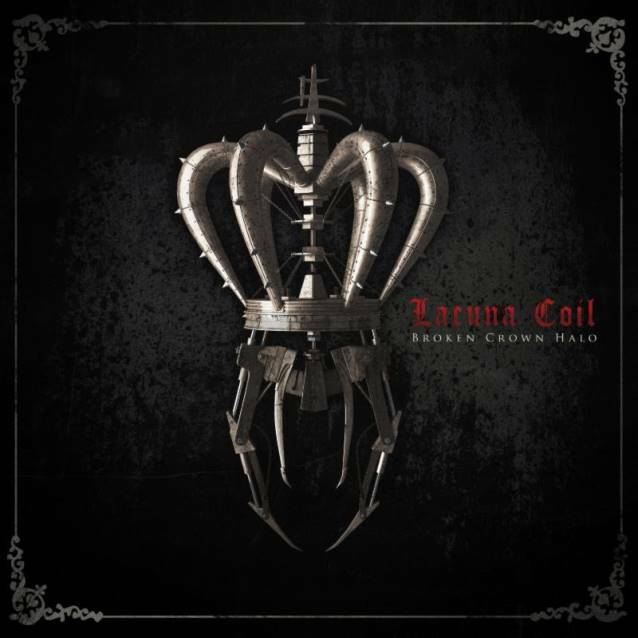 It has since sold more than 200,000 units in the U.S.
"Broken Crown Halo" is LACUNA COIL's seventh studio effort and the follow-up to "Dark Adrenaline", which was released in January 2012 and saw the band tour with acts including MEGADETH, MOTÖRHEAD, VOLBEAT and SEVENDUST after debuting at No. 15 on The Billboard 200 album chart.